This set includes four 19" wide arm chairs constructed of equally durable Beech Hardwood imported from Germany. 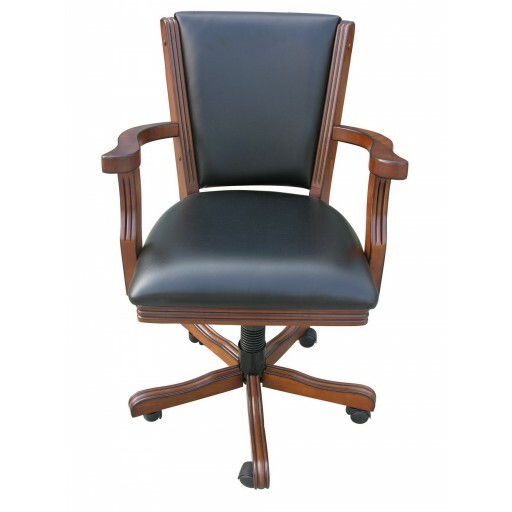 Featuring synthetic black leather, padded bottom and back, and a gas tilt and swivel mechanism, these chairs will provide comfort and class and are easy to keep clean. 1-Year Limited Warranty.